A piece by Olafur Eliasson. Image from The Guardian UK. 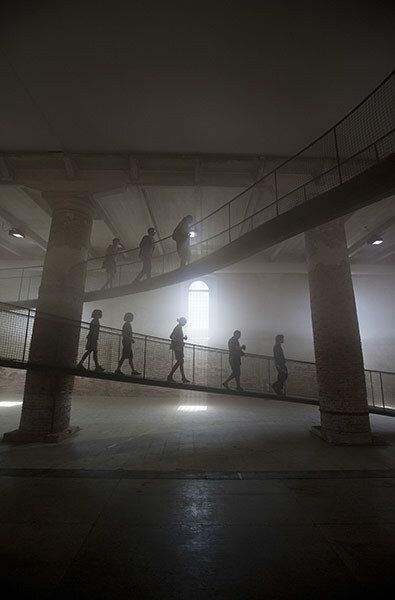 The Venice Biennale, which happens every two years in Venice, Italy, is a celebration of art of all mediums - film, music and dance festivals and architectural wonders accompany gallery spaces filled by an extensive palette of international artists. The first took place in 1895 and has drawn visitors to the water-logged city every two years since, aside from a six year hiatus during WWII. As one of the most prestigious art exhibitions, the Biennale has encouraged the growth of many great artists, as well as the evolution of the art world from avant-garde, to abstract expressionism, and to modern art today. 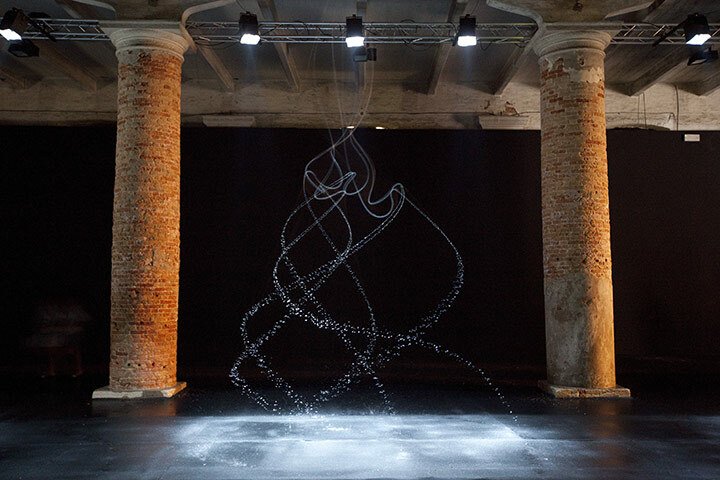 An installation of artificial clouds for visitors to walk through. Image from The Guardian UK. 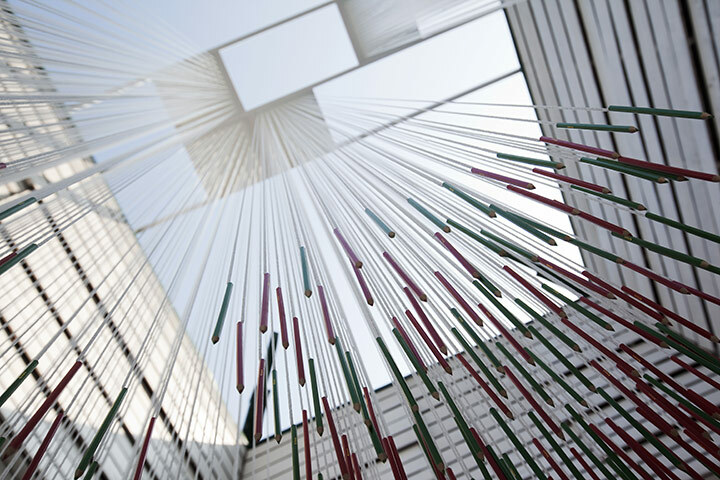 Red and green pencils hang from the ceiling with long pieces of thread at the Hungarian Pavilion. Though the film, dance, music and theatre portions of the event have come to a close, the art and architecture are still open for viewing until November 21st! If you can't make it to Venice on the fly, keep adding that pocket change to your piggy bank, dust off your Italian dictionary and consider making the next Biennale in two years. For now, check out the website to see the art from this year's exhibition.